The past few months leading up to our country's recent transition of federal leadership have been ripe with conversation about how the next four years will impact our society - including in relation to climate action. This month's newsletter focuses on how the private sector can support the acceleration of a low carbon economy and contribute to creating a healthy, just, and sustainable society. The School Spotlight highlights Arizona State University (ASU), focusing on their exemplary use of collaboration to push sustainability and climate action forward. Our feature article was written by Ken Locklin, Director at Impax Asset Management, and discusses how and why changes in the short term policy landscape shouldn’t necessarily dictate long term shifts in investment decisions. We have numerous updates from the network to share, including several upcoming events where we hope to see you, and highlights of recent news and resources. As always, your contributions to the conversation are welcome and needed. Please be in touch with any questions, news or ideas for the IEN. Arizona State University (ASU), a founding member of IEN, is a model for sustainability operations and practices around the country. ASU's on-site solar portfolio is one of the largest of any university in the United States (more than 24 MW), they are a participant in the Billion Dollar Green Challenge, they have a Climate Action Plan, and they were rated gold by AASHE STARS. ASU constantly seeks to inspire a more sustainable future, and next month ASU will be working with a diverse group of partners to host three different events focused on pushing sustainability and climate action forward: Sustainability Solutions Festival (month of February), Second Nature 2017 Presidential Climate Leadership Summit (February 13-15), and GreenBiz University (February 14th in partnership with GreenBiz 17, February 14-16). ASU doesn't just model leadership action on climate change in its operations. The ASU Foundation manages ASU's endowment, and aligns itself with the university’s long-standing reputation and mission to serve as a national model for commitment to sustainability and environmentally responsible practices. The Foundation’s investment committee has proactively investigated and deliberated on the topic of SRI for many years. 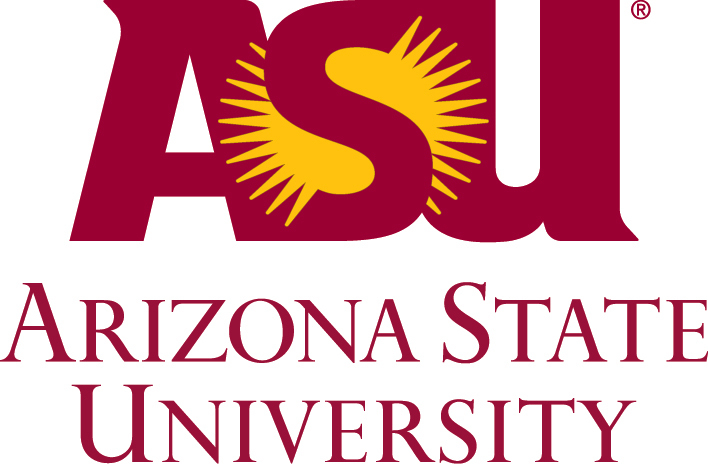 You can read the ASU Foundation's statement of intent in regards to socially responsible investing here. It is often thought that the slightest shift in the public policy landscape calls for imminent, wholesale movesby investors. But fiduciaries are called upon to make investment decisions grounded in reality, and based on rigorous, rational analysis. In reality, investment horizons are typically more resilient, and not necessarily deflected by shifting political landscapes. One reality that investors and policy makers face is the increasing impact of climate change. Climateimpacts affect our physical world and significantly heighten investment risk. They impose challenges for investors in general, but offer particularly compelling opportunities for investors in climate solutions. The incoming administration campaigned as pro-coal, climate change skeptics. While the eventual policy implications of these campaign promises are unclear, we see more powerful economic forces at work. The underlying investment drivers advancing many environmental technologies are ever more independent ofmost regulatory intervention. Consumers are increasingly seeking more sustainable products and services. As a result, renewable energy investments will continue to expand, and selected energy efficiency and energy storage sectors are expecting record-breaking growth. This article, posted on IEN's blog, discusses investment prospects across climate solutions in the global environmental markets sector, in the face of market movements and continuing international climate action commitments. It suggests to fiduciaries that changes in the short term policy landscape shouldn’t necessarily dictate long term shifts in investment decisions. The 2017 Presidential Climate Leadership Summit is a significant moment and turning point for Second Nature and the Climate Leadership Network. Second Nature will reflect on 10 years of bold climate leadership by higher education institutions, and anticipate the future of the Network and the sustainability movement. The 2017 Summit is designed for campus sustainability teams, including specialized content for presidents, faculty, and staff. IEN is organizing a session at the Summit and will host a half-day workshop on endowment investing and climate goals for presidents, trustees, CIOs and sustainability staff. Click here for more information and to register. The IEN Steering Committee serves as the core of the network, providing strategic guidance and leading key elements of the network's activities. We are delighted to announce two new members of our Steering Committee: Robert Johnson, President of Becker College (which last year announced that 100% of its endowment would be devoted to impact investing 2017) and Joan Steel, a financial wealth advisor and Chair of the Investment Committee of Loyola University Chicago (which hosted out November Intentionally Designed Endowment Forum). We are pleased to welcome the following organizations to the network as contributing members: Appleseed Fund, Croatan Institute, Entelligent, Iroquois Valley Farms, Loyola University Chicago, oekom research Inc., Sustainable Farm Partners, Terra Alpha Investments, LLC, and Wespath Investment Management. To see a full list of contributing members, click here. To learn more about the leadership opportunities and benefits of IEN membership, click here. In December, IEN and The World Resource Institute (WRI) hosted an initial planning meeting with approximately 15-20 participants from schools, non-profits, the investment industry, and foundations to generate conceptual ideas and identify potential partners for a longer-term project on how higher education endowments can work toward meeting the goals of the Paris Climate Agreement. Several great ideas came from this meeting, including one idea to develop and promote an investment framework and methodology that enables university endowments to align their portfolios with the Paris Agreement and the Sustainable Development Goals (SDGs), and another to create guidance on investment policy language to consider regarding the integration of the Paris Agreement and/or the UN Sustainable Development Goals in investment policy statements (in development). IEN Working Groups meet regularly to advance key strategies in support of the network's goals. Below is a brief update of what current Working Groups have accomplished. Shareholder Engagement: The Shareholder Engagement Working Group is hosting a webinar on February 27th on Proxy Voting and Shareholder Engagement for Endowments. The webinar will provide an overview of the value of proxy voting and additional forms of engagement for endowments that are involved in commingled funds through an outsourced CIO – including the current landscape, trends, specific issues, and why it is important for investors. Click here to register. Clean Energy: The “Investing in Clean Energy: Campuses and Endowments” White Paper was developed by and in consultation with IEN’s Clean Energy Working Group and released in November. It was designed to encourage conversation about the financial and societal benefits of clean energy investments higher education can make – both as a customer and an institutional investor through their endowments. Members of this working group also presented a session at our Forum at Loyola University Chicago, and hosted a webinar on clean energy investing in December. Policy & Fiduciary Duty: The chair of this working group (Keith Johnson) recently published a Fiduciary Duty Overview for Endowments and Foundations: Integrating Nonprofit Mission Goals into Investment Practices. This overview is intended to provide investment fiduciaries with a summary of how fiduciary duties apply to mission-aligned investing, such as strategies that incorporate material environmental, social and governance (ESG) factors into investment analysis. It shows that prudent adoption of mission-aligned investment techniques can be consistent with fiduciary duty. The Working Group is also currently developing a briefing on fiduciary duty for endowments and a guidance document for selecting investment consultants and managers that are equipped to advise on ESG criteria. Trustee Engagement: This Working Group formed last November after several trustees at our Forum at Loyola University Chicago expressed interest in working together to create a peer-to-peer learning effort among trustees of colleges and universities on sustainable investing. An initial planning call took place in the fall and a first meeting is being planned for the Spring. Student Managed Funds: This Working Group is in the process of forming, with an initial planning call being scheduled for the Spring. Group members mainly consist of representatives from various student managed funds across the country, with the aim of working together to share resources on advancing sustainable investing strategies in each fund. IEN Steering Committee Member Robert Johnson will be presenting on a panel titled "What to Consider when Integrating ESG Criteria into Investment Decision-Making." IEN will be presenting a panel session on "Higher Ed Endowments & Paris Climate Agreement." To view more upcoming events, click here. Below are some recent resources from the Intentional Endowments Network and other organizations. To see more reports, articles, videos and other resources by topic, visit the resource page on our website. Below is a sampling of recent news articles we've posted on our Newsfeed, ranging in topics from Sustainable Investing, Climate Risk, Science & Regulation, Sustainability in Higher Education, Divestment, Clean Energy, and more. If you have an original piece you would like to submit for an upcoming newsletter, or for more information about the Intentional Endowments Network and how you can support this work, please contact Georges Dyer at georges@intentionalendowments.org.